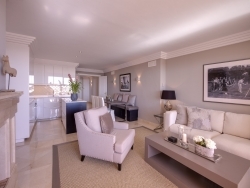 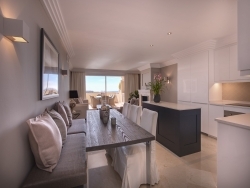 Stunning three bedroom apartment for sale in Albatross Hill, a popular gated complex in Nueva Andalucia. 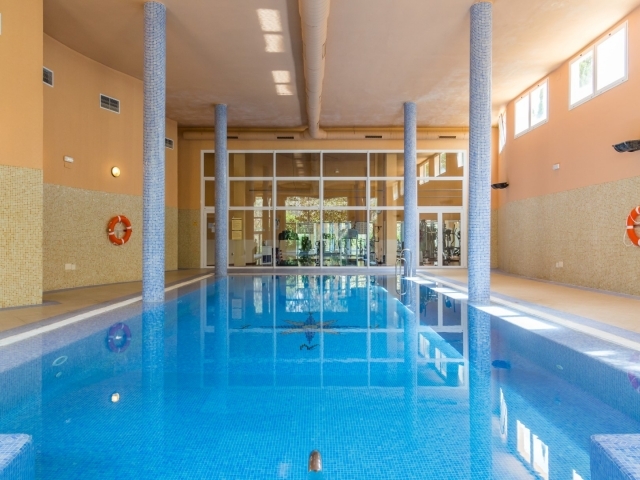 Albatross Hill is renowned for its on-site facilities and security; the complex offers 3 outdoor swimming pools, an indoor swimming pool, small gym, sauna and tennis court. Set within well-maintained gardens, it also has 24 hour security and garage parking. 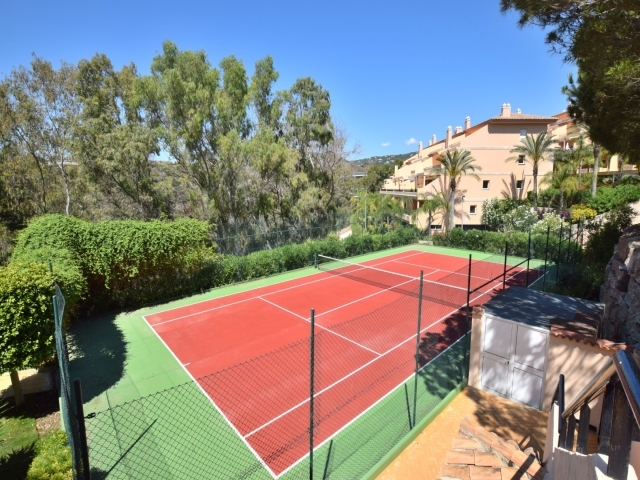 Poised on the periphery of the prestigious Golf Valley and just a short drive to all amenities including bars, restaurants, department stores, designer boutiques, international schools and the beach, it is an extremely popular choice for couples, families and avid golfers alike. 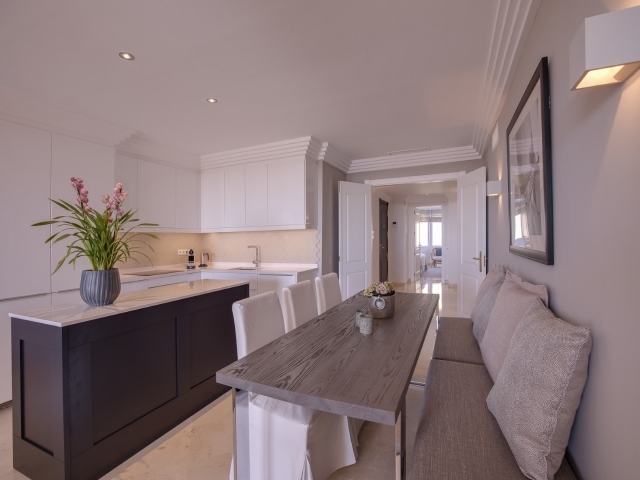 Having undergone a complete renovation as recently as September 2017, this unique unit has been converted from a two bedroom to a three bedroom with a contemporary open-plan kitchen. 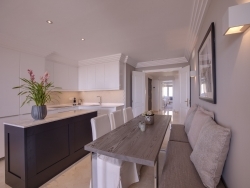 It comprises a large entrance hall, a fully fitted kitchen and living room with direct terrace access, two double bedrooms with en-suite bathrooms, a third double bedroom with en-suite shower room and laundry area, and a guest toilet. 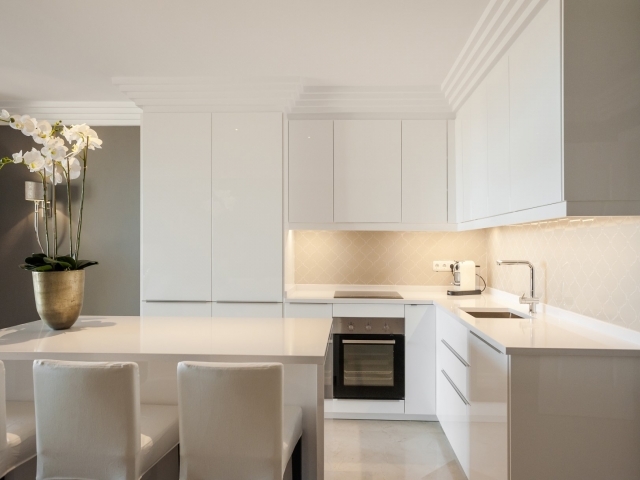 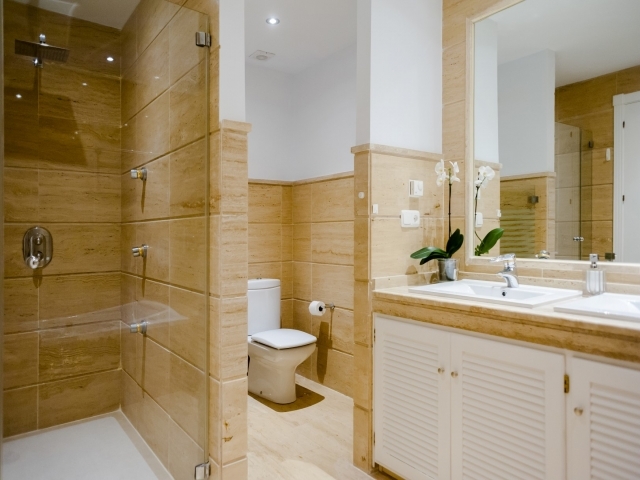 The kitchen boasts a gorgeous modern design and the bathrooms are marble tiled giving a timeless sophisticated finish. 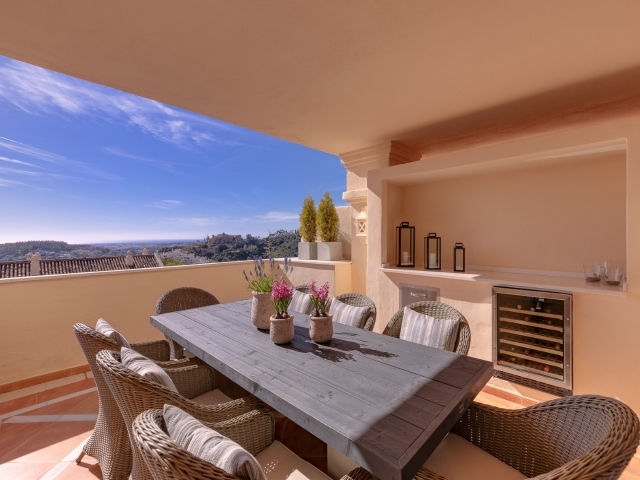 South facing with breath taking views across the valley and down to the Mediterranean Sea. 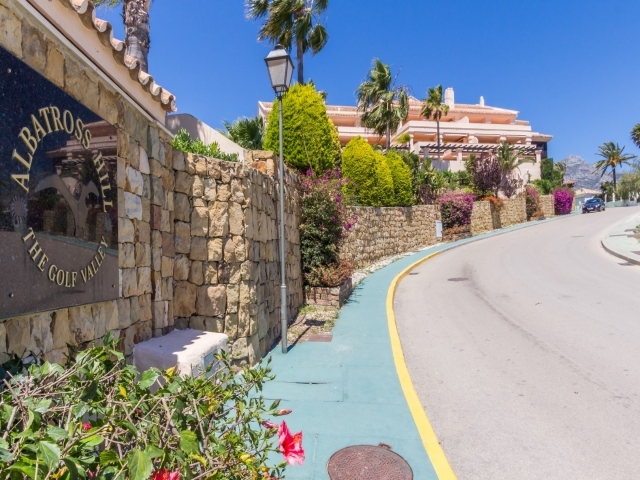  The property includes a large storage room (12m2) and parking for one car in the underground garage; a lift provides easy access from the garage to the entrance of the apartment. 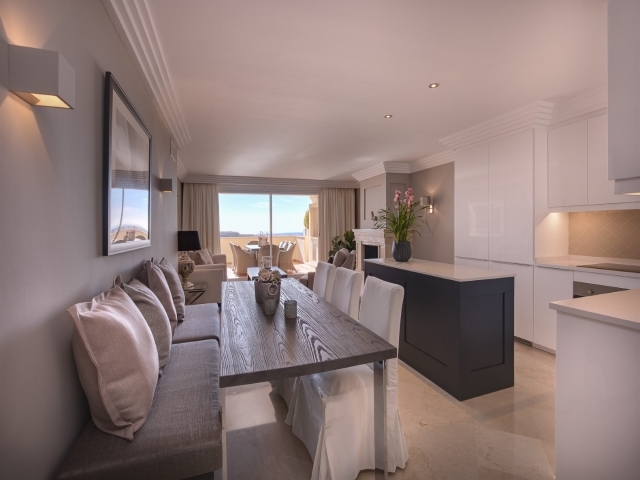 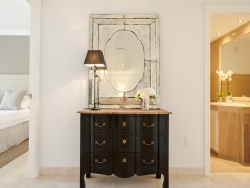 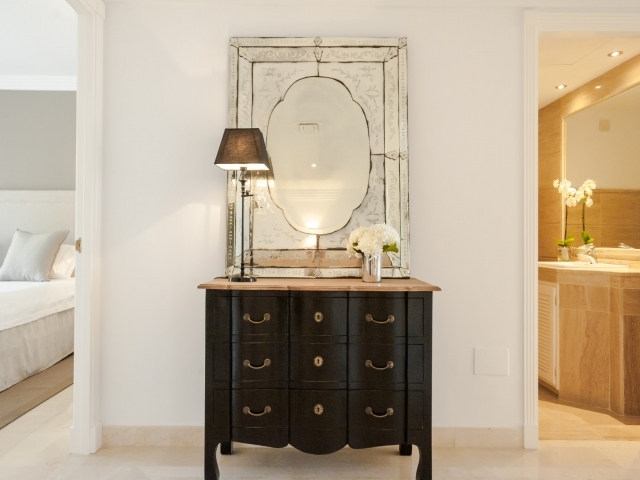 Nestled in the hills of Nueva Andalucia, this is a truly exquisite property: with spacious rooms, a contemporary vibe and good on-site security and facilities, it ticks all the boxes for anyone looking for a modern apartment on the beautiful Spanish coast.